The Federal Radiological Monitoring and Assessment Center (FRMAC) is a federal asset available on request by the Department of Homeland Security (DHS) to respond to nuclear and radiological incidents as described in the National Response Framework (NRF). Under the National Response Plan (NRP), the DOE has the responsibility to maintain the operational readiness of the FRMAC. characterization of overall radiological conditions. Once a declaration to respond to a radiological emergency has been made, NNSA Headquarters will coordinate the response in consultation with the cognizant NNSA Regional Coordinating Office (RCO). Each of the eight RCOs maintain a 24-hour response capability for radiological emergencies that may occur in states served by its region. When a FRMAC is established, it operates under the parameters of the Incident Command System (ICS) as defined in the National Incident Management Systems (NIMS) construct. The Consequence Management Home Team (CMHT) will be activated immediately during normal business hours (Pacific Time Zone) and will be activated within two hours otherwise. The Consequence Management Response Team (CMRT) is “prepared for deployment” within six hours after activation. Along with the assets, FRMAC provides an operational framework for coordinating of all federal off-site radiological monitoring and assessment activities during a response to a radiological emergency to support the coordinating agency and state(s), local, and/or tribal governments. 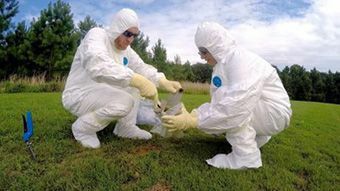 Potential radiological emergencies that fall within FRMAC vary widely in terms of the area affected, the nature of the contamination, and the scope of the government’s response. Detonation of a nuclear device, accidental release of radiation from a nuclear power plant, and a terrorist threat are just a few of the many possible scenarios FRMAC must be prepared to address. Through all this, supporting the state, local, and tribal organizations in the protection of the public remains the primary goal of the federal response. Following the accident at the Three Mile Island Nuclear Power Plant in Pennsylvania on March 28, 1979, President Jimmy Carter and Congress directed the impacted federal agencies to develop a plan to provide for an integrated federal response to radiological emergencies. 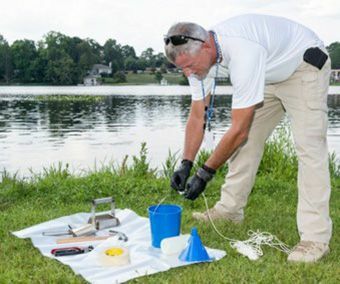 It was recognized that when a major radiological incident impacts the public, the state(s) may need federal assistance to characterize and assess the radiological conditions. This led to the development of the Federal Radiological Emergency Response Plan (FRERP). The FRERP was the guideline used in establishing FRMAC and described the roles of various federal agencies involved in the response and coordination of federal activities with the state(s) and responsible agencies. In 2004, this document was superseded by the National Response Plan (NRP). 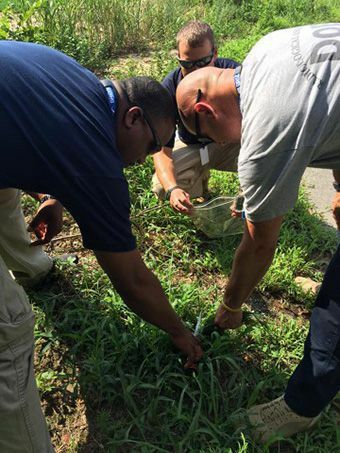 FRMAC is initially established on scene by DOE to provide an operational framework for coordinating and managing all federal offsite radiological monitoring and assessment activities. Following the emergency phase of an incident, the EPA takes the lead in ensuring appropriate health protection guidelines are followed and recommending further actions, if necessary, to the state(s). This document outlines how the FRMAC program developed following the Three Mile Island accident in 1979 and became formalized in the Federal Radiological Emergency Response Plan in 1985. In addition, over 25 years of advances in technology and FRMAC’s participation in emergency responses (both real world and exercises) is documented.